A couple embraces outside of Katz’s Delicatessen in lower Manhattan. Katz’s Delicatessen opened their doors in 1888 across the street from its present location on Houston and Ludlow street in lower Manhattan. Long regarded as a New York institution, Katz’s today serves thousands of pounds of corned beef, pastrami, and hot dogs each week. 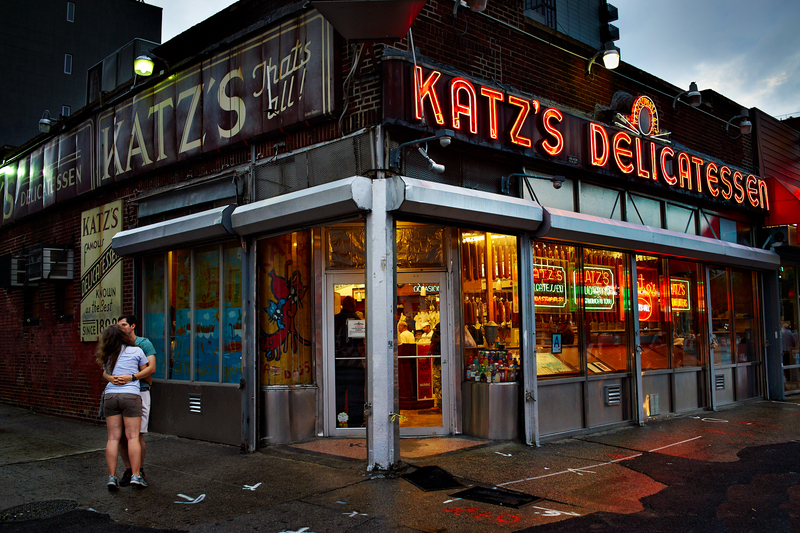 Katz’s is a landmark frozen in time, attracting both residents and tourists who want a taste of a forgotten New York that is quickly vanishing among the city’s new steel and glass canyons.